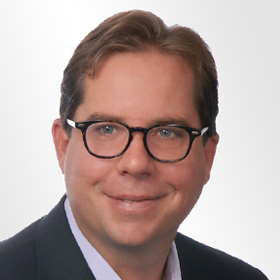 HOUSTON, TX (February 11, 2019) Jackson Lewis P.C., one of the country’s preeminent workplace law firms, is pleased to announce William R. Stukenberg has been named Office Managing Principal in Houston. Mr. Stukenberg focuses his practice on a wide range of areas, ranging from day-to-day employment counseling to complex employment litigation, and has served as the office’s Litigation Manager since 2015. Mr. Stukenberg is an experienced trial attorney and has litigated various types of workplace disputes in numerous forums, with a particular emphasis on wage and hour matters. He is a member of the firm’s General Employment Litigation, Non-Competes and Protection Against Unfair Competition, and Wage and Hour practice groups. Mr. Stukenberg regularly serves as lead counsel in complex class and collective action disputes alleging violations of the Fair Labor Standards Act and state wage laws. He also has served as national coordinating counsel on claims involving misclassification, “off-the-clock” and regular rate allegations. Mr. Stukenberg has successfully represented clients in wage and hour matters in a variety of industries, including energy, healthcare, telecommunications, technology, retail, transportation, legal, finance, and hospitality. He also has extensive experience litigating restrictive covenant and unfair competition matters. Mr. Stukenberg earned his J.D. from South Texas College of Law and his B.A. from the University of Texas at Austin. Jackson Lewis’ Houston office can be reached at (713) 650-0404.